THOR FORESIGHT Home 2.2.151 was available as a giveaway on January 16, 2019! 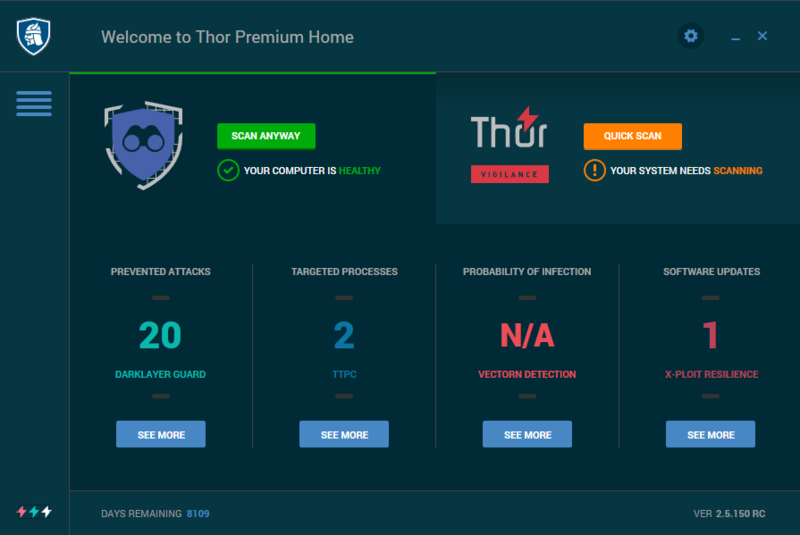 THOR FORESIGHT Home is a cyber threat protection suite that includes 3 layers of protection against ransomware, financial Trojans, data-stealing malware and other threats that antivirus can't detect. Reactive antivirus looks for files and actions, whereas THOR FORESIGHT looks at traffic. THOR FORESIGHT works proactively to prevent cyber criminals from infecting your system, taking data from your PC and moving it out of your network. real-time traffic scanning– protection against Zero Hour exploits, dangerous web locations, malicious content from legitimate websites and cybercriminal attacks. detection and blocking of advanced malware attacks– blocks confidential data leakage and data exfiltration to cybercriminal-controlled servers. automatic and silent patching– keeps your security-critical software up-to- date, blocking over 85% of attacks that target software apps. Get THOR PREMIUM with 70% Off! Please note: The software includes a 1 year license for 1 PC and comes with free technical support and updates. Please use the IdeaInformer widget to supply your ideas, the best one will be rewarded with Thor Premium lifetime license for 3 PCs! How would you improve THOR FORESIGHT Home 2.2.151? Make taskbar to show last balloon notification. We would like to thank to all of you for the ideas and comments. We work continuously to improve our products and your feedback is very important for us. Congratulations Deb! I hope you’ll enjoy it. Hello everyone! We would like to thank to all of you for the ideas and comments. We work continuously to improve our products and your feedback is very important for us. 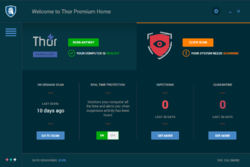 The winner of the lifetime license for Thor Premium Home is Deb Rakshit, http://thor-foresight-home.idea.informer.com/proj/?ia=123423 . Congratulations Deb! I hope you’ll enjoy it. Hello everyone! Eduard from Heimdal Security here. I thought it might be useful to put this link here, which presents the entire user interface and all the functionalities of our products. In case you have questions or issues, you can check our support section or contact anytime our support team. Eduard, which idea chosen for liftetime reward? uninstalled, could not unblock certain sights, such as dailyuploads. The software installed perfectly, it ran flawlessly, but the terms of using it are incredibly disturbing, read them thoroughly before installing. I wish I had. Disappointed. The software installed perfectly, it ran flawlessly, but the terms of using it are incredibly disturbing, read them thoroughly before installing. I wish I had. The developer uses the phrase "Reactive antivirus" as if that is a bad thing that this software is not reactive but in some way proactive... but for traffic to be taking place to be detected it is more of the reactive type of software that an anti-virus program that uses regularly updated virus/malware pattern matching AND heuristics to prevent malicious programs from running in the first place and producing suspicious network traffic. This type of software is a sub section of heuristics that may already be a tiny part of the existing so called "Reactive antivirus". Over the years experience has taught me that one of the most invasive and false positive inducing anti-malware technology is heuristics, closely followed by Potentially Unwanted Program (PUP) detection. Considering how easy it is to avoid infections behaviourly by not doing stupid things online the hassles of the paranoia derived false positives by non-adaptive heuristics and community based PUP lists they have never caught any real malware on any system I have used but have deleted many a useful utility from a technicians USB stick toolkit... that makes it essential to have a USB stick with a hardware write protect on it to stop the customers infected machines anti-malware from mutilating the technicians toolkit. Some commenters have already reported that this companies network traffic heuristics give false positives and becomes more trouble than it's worth. Smartscreen and similar technologies are already built into many current browsers to red list reported phishing/malicious sites without interfering with network traffic. I often go to phishing sites deliberatly to report the newly hacked servers as malicious or phishing sites to my browsers protection services... no need to pay a subscription to an overzealous network heuristics program. The developer uses the phrase "Reactive antivirus" as if that is a bad thing that this software is not reactive but in some way proactive... but for traffic to be taking place to be detected it is more of the reactive type of software that an anti-virus program that uses regularly updated virus/malware pattern matching AND heuristics to prevent malicious programs from running in the first place and producing suspicious network traffic. This type of software is a sub section of heuristics that may already be a tiny part of the existing so called "Reactive antivirus". Over the years experience has taught me that one of the most invasive and false positive inducing anti-malware technology is heuristics, closely followed by Potentially Unwanted Program (PUP) detection. Considering how easy it is to avoid infections behaviourly by not doing stupid things online the hassles of the paranoia derived false positives by non-adaptive heuristics and community based PUP lists they have never caught any real malware on any system I have used but have deleted many a useful utility from a technicians USB stick toolkit... that makes it essential to have a USB stick with a hardware write protect on it to stop the customers infected machines anti-malware from mutilating the technicians toolkit. Some commenters have already reported that this companies network traffic heuristics give false positives and becomes more trouble than it's worth. Smartscreen and similar technologies are already built into many current browsers to red list reported phishing/malicious sites without interfering with network traffic. I often go to phishing sites deliberatly to report the newly hacked servers as malicious or phishing sites to my browsers protection services... no need to pay a subscription to an overzealous network heuristics program. Cannot use with a VPN, so cannot use it. I had a multi-year license for Heimdal Pro ("HP"). The app was OK but became annoying and I didn't renew. Why? I would receive periodic e-mails from tech companies offering goods for sale. If I clicked on a specific item shown in the e-mail, HP would block access to a particular website/product listing giving me a warning that the site was unsafe. I had accessed the site before (via a bookmark) without incident (AVAST, Malwarebytes and Super Antispyware never found/alerted me to anything) both pre and post HP install. I contacted HP Support and sent them the URL of the website. There response is that they had lifted the restriction on said URL. The next time I received a promotional e-mail from the same firm I tried again clicking on an item that caught my interest. Same thing -- the big RED warning message and access was blocked. Contacted HP Support again and asked them why it's so hard to whitelist a site that they themselves said was safe. Their suggested solution -- DELETE ALL my browsing history and maybe that would work. My solution, go to the website directly via my browser and research the item. I did not renew my license. I tried Heimdal Security Pro, before there was THOR. It offered no way, I could find, to disable, turn off, or EXIT the program. This is a Deal Breaker for me, so I will pass on this. If you disagree I'm more than willing to listen to you. Useless if cannot be used with most VPNs. I could use some functions in Heimdal, but NOT the main monitoring feature. Good concept, but useless. Heimdal Deleted; won't install this. Robert, agreed. Useless if cannot be used with most VPNs. I could use some functions in Heimdal, but NOT the main monitoring feature. Good concept, but useless. Heimdal Deleted; won't install this. Always interested in something that offers an extra layer of protection. Download, install and reg. all went without a hitch. After installing decided to put it through it's paces and found that doesn't do very much at all. Combined all the various modules use around 64.6 Mb, on scanning my computer CPU usage never went above 0.6% (CPU usage at 0% the rest of the time) which would indicate that it's not doing very much, disk usage remained a constant 0% as did network activity. I also have a couple of seldom used programs that need updating and X-POLOIT (software updates) although set to update them didn't detect that they needed updating all of which leads me to conclude that this software doesn't actually do anything except take up a small amount of RAM and disk space. Even visited a couple of website that are known to try and install malware and it did nothing. Would love to say what I really think of this but them my comment definitely wouldn't be allowed. So far not very impressed but will keep for a few days and do deeper diagnostics of what it does or doesn't do. I had heimdal pro and was not satisfied with it. i had issues with windows which required new installation; not good. I am glad those here have mentioned the renaming of the software. I love automated software but that depends what it is doing. I welcome all hackers as long as they don't mess with my system. i gave heimdal pro its full chance and now avoid it totally. Just downloaded and well going to uninstall right away since not all the product is fulling active (red lock) and i did everything correct during the install. so will stick to what i was using before. Well any browser can be instructed to monitor or not allow known malicious sites to be visited. In order to block an attack, the name of the malware must be known first and that is done after the fact. It means they have back door opened to your computer and we do not have any knowledge of what is sent in or out. Be careful, most virus protection software can be as dangerous as if not having protection at all. What happens when the virus protection software is hacked with all those free accesses going on in the background to your computer, a protector can be turned into attacker by a smart hacker. I do not say that this software does that, but the potential for such scenarios are real. The developer wrote: 1-real-time traffic scanning Well any browser can be instructed to monitor or not allow known malicious sites to be visited. 2-detection and blocking of advanced malware attacks In order to block an attack, the name of the malware must be known first and that is done after the fact. 3-automatic and silent patching It means they have back door opened to your computer and we do not have any knowledge of what is sent in or out. Be careful, most virus protection software can be as dangerous as if not having protection at all. What happens when the virus protection software is hacked with all those free accesses going on in the background to your computer, a protector can be turned into attacker by a smart hacker. I do not say that this software does that, but the potential for such scenarios are real. 2- I agree for detection to work malware signatures must be known first, but having protection is better than no protection right? :) Like any antivirus it won't detect bleeding edge malware, however being protected from malware few months old till the beginning of time is better than nothing. 3- Your right, Thor Foresight if you have set automatic app updating will download the installer and run it silent which can be bad. A way around this is to disable auto app updating and only use it to tell you if a program is not up to date. Going even further about app trust, before Heimdal Security switched names to Thor Foresight, the dev introduced an update which was automatic that had an alert pop up daily reminding people they switched name and it was available for 25% discount. Matt, have you used this product before? I use it and I can tell you that this thing still blocks things the browser doesn't. My browser is Firefox, and I have it loaded out with Ublock with custom databases blocking 60k sites, Privacy Badger, Decentraleyes, and many more and I still get detections from Thor Foresight. Regarding your specific points... 1- Read above. 2- I agree for detection to work malware signatures must be known first, but having protection is better than no protection right? :) Like any antivirus it won't detect bleeding edge malware, however being protected from malware few months old till the beginning of time is better than nothing. 3- Your right, Thor Foresight if you have set automatic app updating will download the installer and run it silent which can be bad. A way around this is to disable auto app updating and only use it to tell you if a program is not up to date. Going even further about app trust, before Heimdal Security switched names to Thor Foresight, the dev introduced an update which was automatic that had an alert pop up daily reminding people they switched name and it was available for 25% discount. After downloading with online installer, and while installing, it still ask for my email, but I have the code from the link sent earlier to my email. Should I get another code? thanks. I'm confused about the offer for 70% off the THOR Premium version. This GAOTD page says it's for 1 PC, but the THOR website offers the exact same offer - 70% off - and says it's for 3 PC's (up to 10). Whatever the (up to 10) means, I'm not sure?? Maybe I am being dense but it wants a key - Home trial is for just one month which is not what was advertised above (1 year). First time user here so is there something I should know? Maybe I am being dense but it wants a key - Home trial is for just one month which is not what was advertised above (1 year). First time user here so is there something I should know? Flood, When you unzip the zip file there is a readme.txt. In there is the web address to go to where you enter your name and email address. They will email you a license key. During the installation you are presented with 3 options. Choose THOR FORESIGHT Home. Past the key you received in your email and then enter your email address when it asks. It will come back and tell you are are activated with a date a year from now. Click on Install to finish the installation process. Ron, now that's odd because after activating i saw 336 days remaining. On my planet a year is 365 days long. 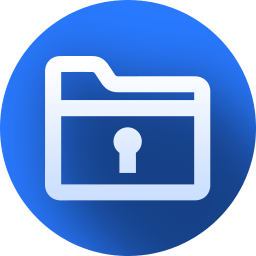 Backup and restore of files/folders in case ransomware encrypts them is a suggestion. And option of removing thor premium features when using thor foresight home. A help file in the program interface would be a good option to understand TTPC and other program features, functions etc. Can this software run in conjunction with a system's existing anti-malware programme? In other words, must I uninstall MBAM if I download this offer? Any and all advice/direction is appreciated. Can this software run in conjunction with a system's existing anti-malware programme? In other words, must I uninstall MBAM if I download this offer? Any and all advice/direction is appreciated. jmac0408, ... I pay for and use Spy Hunter 5 ......When attempting to use Mbam alongside it deletes the Spy Hunter....From what I hear from others, Mbam will not work in conjunction with hardly any anti Vir programs. SpyHunter5 is a 1st class utility (albeit a tad pricey). If this app won't run in parallel, it's not a candidate for my machines. It works with ESET NOD 32 Antivirus but not at the same time. I have MBAM and ESET and they do a great job. Hello Dan! I’m Eduard from Heimdal Security. I hope I can shed some light on your points regarding our new products and name changes. You are right, our old product for consumers, Heimdal Pro, was renamed into Thor Foresight Home and got a new interface. So now we have 3 main products, Thor Foresight (traffic scanning & 3rd party application updater), Thor Vigilance (antivirus engine, clean & quarantine local infected files ) and Thor Premium which includes both Foresight & Vigilance modules. Now, each of these 3 products have a Home and an Enterprise edition. All products have the same installer and share the same interface, the differentiation is made after you activate the license key. That being said, what we’re giving away today is Thor Foresight Home, the consumer product, with full functionality for 1 year / 1 PC. In order to activate it, you will have to enter the license key provided by giveawayoftheday.com, otherwise you will only get a 30 day trial and after the trial expires you’ll be downgraded to the FREE version. The FREE version includes just the app updater module and doesn’t scan your Internet traffic. Scan on demand is still available. If the scan button is inactive, it means you’re on the free version, which doesn’t allow traffic scanning. You can use Thor Foresight Home along with any other antivirus product of your choice. 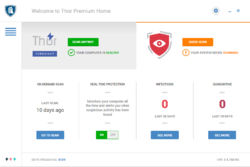 Or you can upgrade Thor Foresight Home to Thor Premium Home, our most complete product, which includes also Vigilance, our next-gen antivirus engine for your complete online security. Hello Dan! I’m Eduard from Heimdal Security. I hope I can shed some light on your points regarding our new products and name changes. You are right, our old product for consumers, Heimdal Pro, was renamed into Thor Foresight Home and got a new interface. So now we have 3 main products, Thor Foresight (traffic scanning & 3rd party application updater), Thor Vigilance (antivirus engine, clean & quarantine local infected files ) and Thor Premium which includes both Foresight & Vigilance modules. Now, each of these 3 products have a Home and an Enterprise edition. All products have the same installer and share the same interface, the differentiation is made after you activate the license key. That being said, what we’re giving away today is Thor Foresight Home, the consumer product, with full functionality for 1 year / 1 PC. In order to activate it, you will have to enter the license key provided by giveawayoftheday.com, otherwise you will only get a 30 day trial and after the trial expires you’ll be downgraded to the FREE version. The FREE version includes just the app updater module and doesn’t scan your Internet traffic. Scan on demand is still available. If the scan button is inactive, it means you’re on the free version, which doesn’t allow traffic scanning. You can use Thor Foresight Home along with any other antivirus product of your choice. 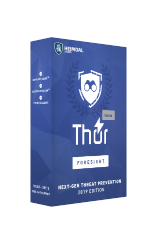 Or you can upgrade Thor Foresight Home to Thor Premium Home, our most complete product, which includes also Vigilance, our next-gen antivirus engine for your complete online security. Hmmmm ... checked Heimdal. Just wondering why so many folks know about customer service and support? Wouldn't know if ya haven't been there, wouldn't be there unless they had an issue? Sam, everyone has customer support. The few that don't do not inspire confidence. Newbies need hands held, others might have special situations to address. I'm just wondering... How can we tell if it's good? If one will get "ransomware, financial Trojans, data-stealing malware and other threats that antivirus can't detect" next week, it will be to late to rate this GOTD. I'm just wondering... How can we tell if it's good? If one will get "ransomware, financial Trojans, data-stealing malware and other threats that antivirus can't detect" next week, it will be to late to rate this GOTD. "How can we tell if it's good?" Great Question, & one unfortunately without a great answer. Heimdal has the same problem with Thor Forsight that they've always had with their products -- perhaps because it doesn't fit with other, major brands of security software, which include AV along with monitoring system activity, it doesn't show up on sites like av-test[. ]org , making it hard to compare with those other brands. FWIW, Nothing today will protect you anywhere near 100%, which is why companies like Google & Microsoft are investing billions, trying to develop AI-based solutions for biz networks. Some experts have been saying for a few years now that Anti Virus software is worse than useless, I believe referring to the old pattern matching approach, rather than monitoring behavior, or why would Google & Microsoft be investing those huge sums, looking for a better solution to do just that, monitor what's going on to better detect when something's wrong. To their credit, that's the approach they use with Thor Foresight. "How We Interpret Antivirus Lab Tests"
Installs OK, seems reasonable interface. Only time will tell if it actually works OK.
Wow, I'm staying away from XYZ from now on!
. [ Chris ], Wow, I'm staying away from XYZ from now on! . Installed as I 'm almost at the end of my present anti malware license. Looks quite impressive, so will keep it for now to see how well it performs. It appears those reviews are for ALL of Heimdals products - not just this offering. Whiterabbit-uk, So the Heimdal community approves Heimdal software. That was no help here. It begs the obvious. Besides, 70% approval given by the "home team" seems kinda weak... Eh?